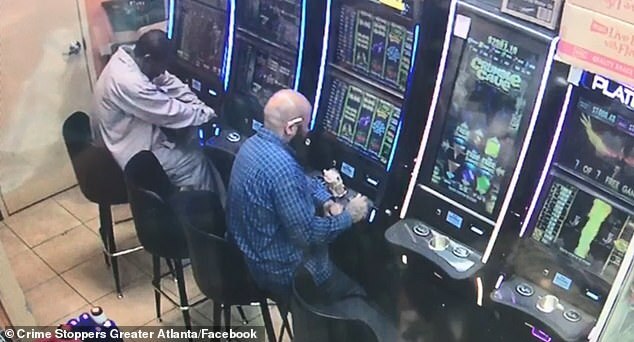 Police are ramping up their search for a man who allegedly stole $7,900 from a gambling machine in Atlanta earlier this month. On Tuesday, Crime Stoppers released surveillance footage of the theft, which occurred at a Pomona Park gas station in the early hours of April 6. 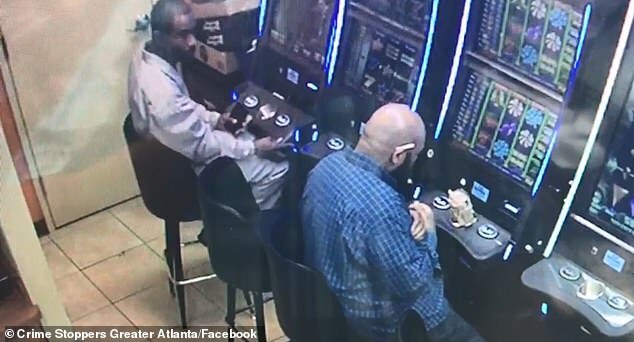 The clip begins with the suspect sitting at a slot machine while another man gambles alongside him. The bandit can be seen keeping an eye out for the gas station’s clerk, before he brazenly begins to pull apart the machine to retrieve cash from its inside. It’s unclear whether the male sitting next to him was an accomplice, however police say the suspect left the scene with another individual. 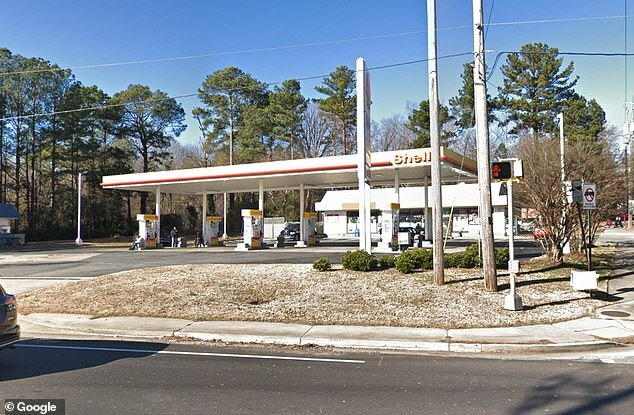 The incident was reported by a gas station employee. Authorities have described the suspect as being of a thin build with a short hair cut. He was wearing a gray button-down and gray sweatpants. Police are pleading for anyone with any knowledge on the robbery to come forward. They are offering a cash reward for any information that will lead to the arrest of the man.